I’m already drooling by thought of this! This entry was posted in I Heart and tagged brownies, chocolate, finds, foodporn, goat cheese, links, love and lemon, rasberries by Budour. Bookmark the permalink. I am intrigued! 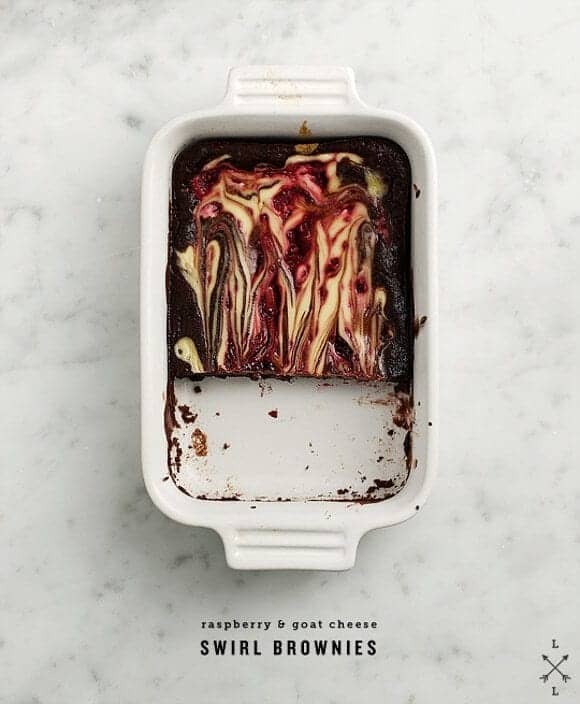 I NEVER would have thought to put goat cheese in brownies.